← Wi-Fi Site Surveys — done FAST! 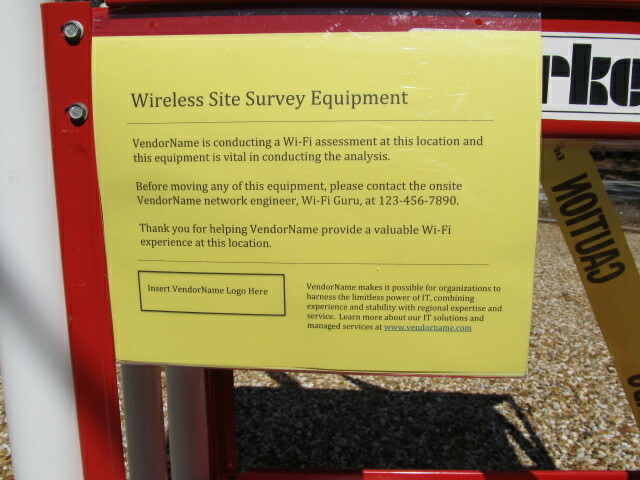 Caveat 1: I realize all WLAN professionals do not do active, on site surveys. (a.k.a. “AP-on-a-stick” surveys). I fully understand that. However, most of us will probably, sometime, have to perform this type of site survey. When you do, I am hoping that the following blogs will help. Caveat 2: I know the solution below is not completely portable (well, it fits OK in the back of my Toyota 4Runner!). I am also looking for a fully mobile solution, that will fit in the trunk of a car and even capable of being transported as checked luggage on a plane. Please use the “Leave a Reply” section below for your own comments. Caveat 3: (don’t you just love the word “caveat”?) 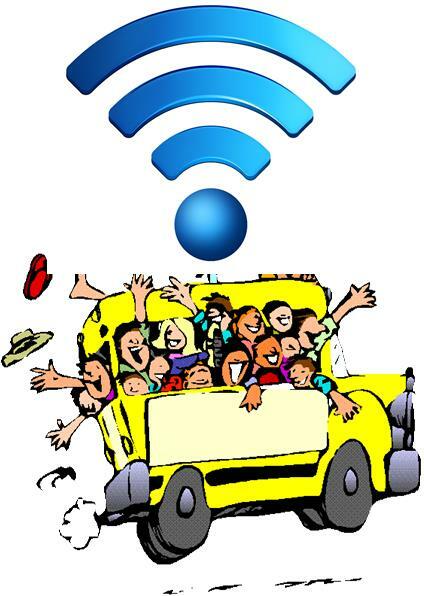 I am using the title WLAN Planning for this series of blogs. 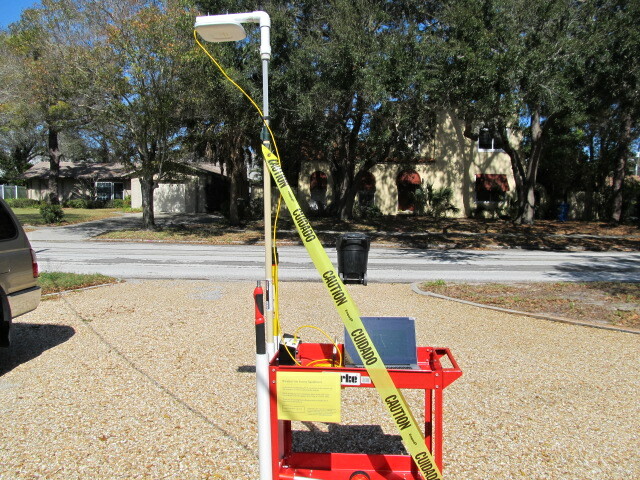 This process is also called Wi-Fi site surveys, active site surveys and has a few other labels as well. But when all is said and done, what we are doing is WLAN planning — either planning to install a new WLAN or make changes to an existing one. So, WLAN Planning is what I am calling it! Some brief project details: This chain of county libraries had existing Wi-Fi that was managed by an ISP. When Wi-Fi issues came up, the ISP would fix them by coming on site and usually just installing another AP, not digging deep into real Wi-Fi issues. Since Wi-Fi performance was lacking, the county IT department wanted to bring everything in house again, installing their own APs and managing with their own controllers. 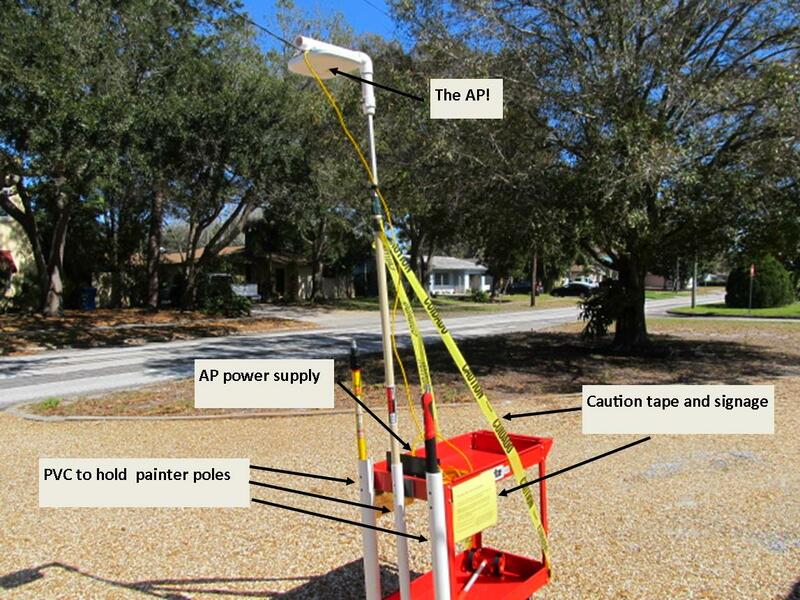 This meant site surveys needed to be done to properly locate APs for awesome Wi-Fi performance! I had been toying around with some equipment I had in the garage for a few previous site surveys but since this project was the largest one I had done, I needed to fine tune my tools, equipment and procedures. So, I am planning on several blogs, covering 1) The WLAN Cart, 2) The WLAN Tool Kit (and misc. survey tools) and 3) The WLAN AP process. Here’s a picture of my WLAN Cart. I chose the Clarke two-shelf steel cart to start out (as, I had one in my garage already!) Amazon in UK has these as well as a similar cart at Uline. 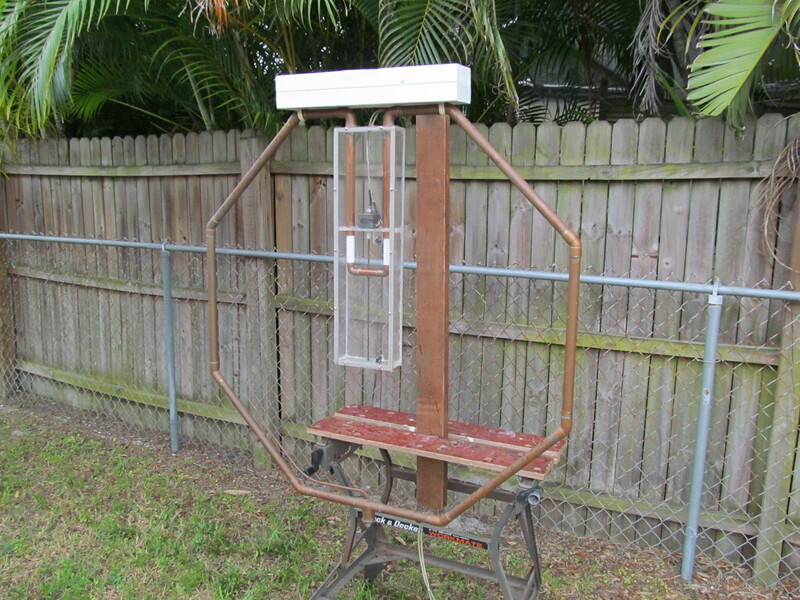 I purchased the painter poles (to raise the AP to the proper survey height) at Home Depot (but you can look at Lowes or other big box stores in your area). Shur-Line 06572L has a nice painter pole (three and half to nine feet) that extends in both directions. 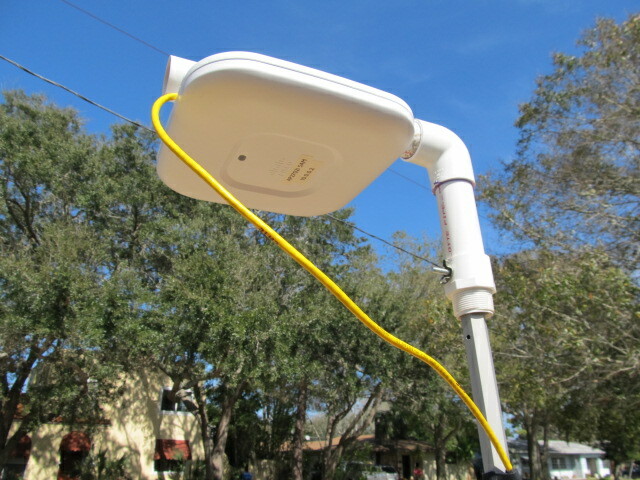 Two additional PVC tubes to each side to hold additional poles, when needed. Caution tape and signage about what I am doing (if I had a nickel for every time I had to answer the question “What are you doing?”, I would be rich and retired right now….). 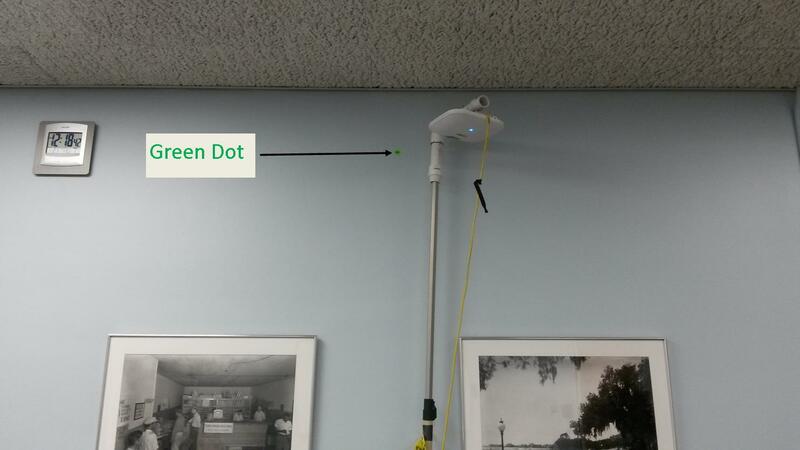 Additionally, if you are using the pole to mount the AP at heights of over 20′, I suggest two concrete blocks/cinder blocks or equivalent weight be placed on bottom shelf for stability (it would be a sad WLAN day to see a Cisco 3702i fall from twenty feet!). 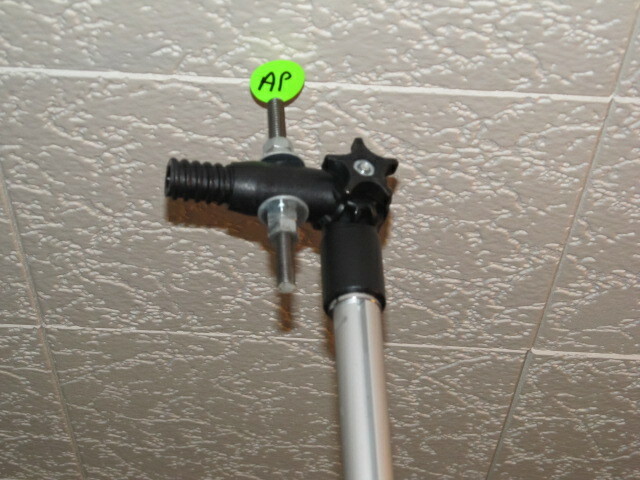 I place a green sticker (marked “AP”) on the ceiling grid or wall surface. I developed a screw on painter handle and put a small piece of all-thread through the handle and double-sided tape on each end of the all-thread and use this to attach the sticker. Then, I use the other end to press the sticker into place. When the sticky part of the double sided tape is gone, refresh it with a dry glue stick. I then take a picture of the green sticker and indicate with graphics on the picture and include this information in my documentation that goes to the client with the site survey. Note: The above steps preclude any confusion for the cable pulling vendor, in case a sticker comes loose. Part 2 of this blog series will cover the WLAN Tool Kit–what I take with me for onsite WLAN planning. Stay tuned! By the way, an encouraging promise about plans from the Bible is below. I hope you enjoy it! 1. If someone trips over that bright red cart of yours, they must be drunk. 😉 The caution tape seems a bit excessive to me. But if you want to play it ultra-safe, you should probably have a siren and strobe light! Maybe some razor wire to keep people back too! 2. For applying ceiling stickers, if you don’t want to climb up and down a lightweight stepladder (my preferred method), you can’t beat the lightbulb-changing suction cup. Available at Lowes and Home Depot for under $10…attaches to the extendable painters pole you already have. I’m now using this to place dots on ceilings as high as 18-20’ without a ladder. 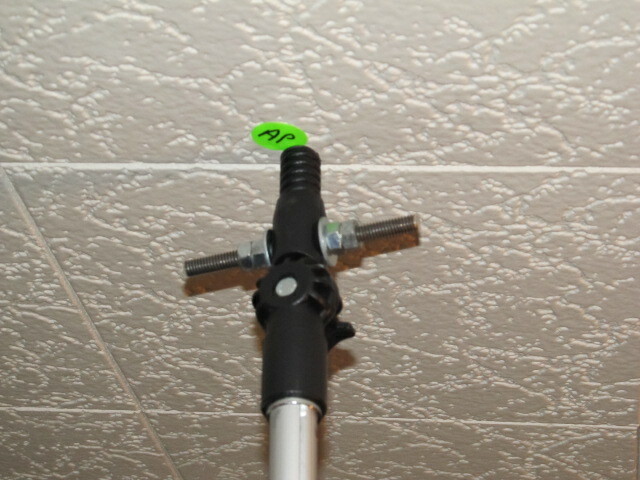 Place the sticker in the middle of the suction cup, and just push it onto the ceiling grid. If the tiles are recessed, the suction cup just pushes them up slightly until it comes in contact with the ceiling grid. 3. You can’t go around writing “AP” on those stickers with the Sharpie…that’s so amateurish (yea, it’s the way we used to do it too so I can say that!). Make it professional by using an Avery 5466 template with an “AP” printed just right on each label. Just do a test print, and adjust the left-most and top margins to get them centered perfectly for your specific laser printer. When a site survey is required I prefer to use a combination of active and passive tools. I will first use a passive survey tool to plan AP locations. Then the site visit for the active survey is just a verification of the passive. Once the active survey is completed I then compare the active and passive and make adjustments to the wall attenuation in the passive survey to match the active. This give me the ability to make adjustments to AP locations once all of the APs are placed on the map. As far as a survey “cart” goes. I have used several variations with several vendors. The key components are as follows. 1) Light enough to carry up and down stairs. 2) on non-marking carpet safe casters. 3) Easy to quickly set up and take down. 4) Ability to change AP orientation from horizontal to vertical and raise to different heights. The idea being the test AP should be as close to the actual orientation as possible. 5) A UPS that will maintain the AP at least through relocation and if needed to supply power for those few locations where AC power is difficult to find. This greatly reduces the overall survey time by not having to wait for the AP to reboot at every location. 6) The entire setup should look professional. Many offices have dress and aesthetic standards. You want your cart to stand out for safety but not as an eyesore that they can’t wait to get out of their facility. 7) If you can get this in a case that is airplane ready you are in a perfect world.